This book, created by Jaume Plensa, consits of sixteen sheets of glass set in pairs in a brass structure. 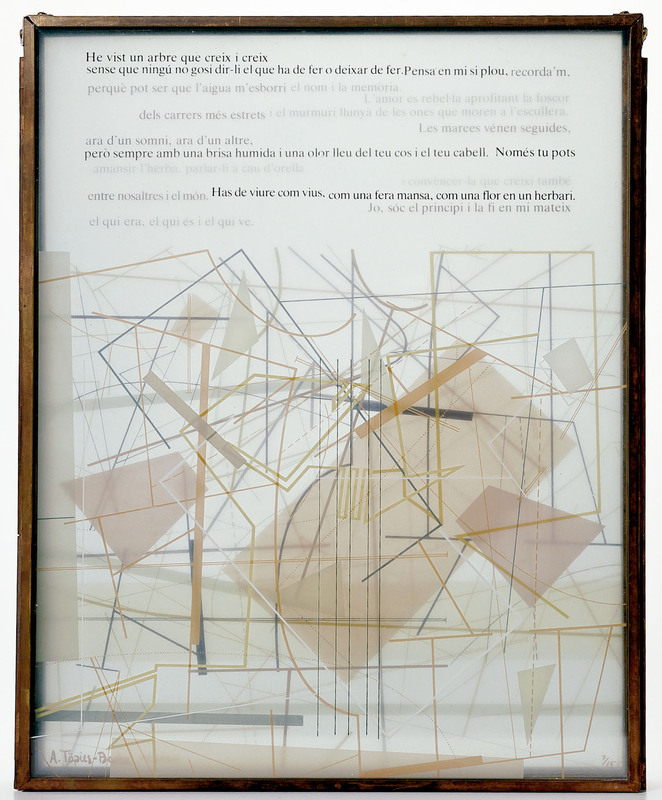 Eight compositions by Jaume Plensa and a poem by Toni Tàpies Barba are silkscreened on the sixteen sheets of glass. The closed book is presented in a wooden case of ilex accompanied by an introductory text by Joan Brossa.